Condition: open box - original box may be missing (that is usually the case when purchasing from other online retailers too), may show light signs of use from handling. 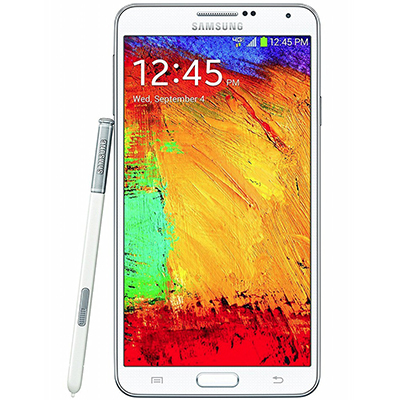 The Samsung Galaxy Note III SM-N900V with its 5.7-inch HD display offers a good-viewing experience. Built-in with a 13 MP rear camera, it lets you capture your memorable moments. Its Quad-Core processor enables you to perform tasks with ease. It runs on the Android platform to offer an intuitive user experience. This smartphone has 32 GB memory and 2G/3G/4G/EDGE/GPRS network support. Equipped with a 3200 mAh battery, this white phone offers hours of uninterrupted usage.